and inside summer seashells with cracked corners. 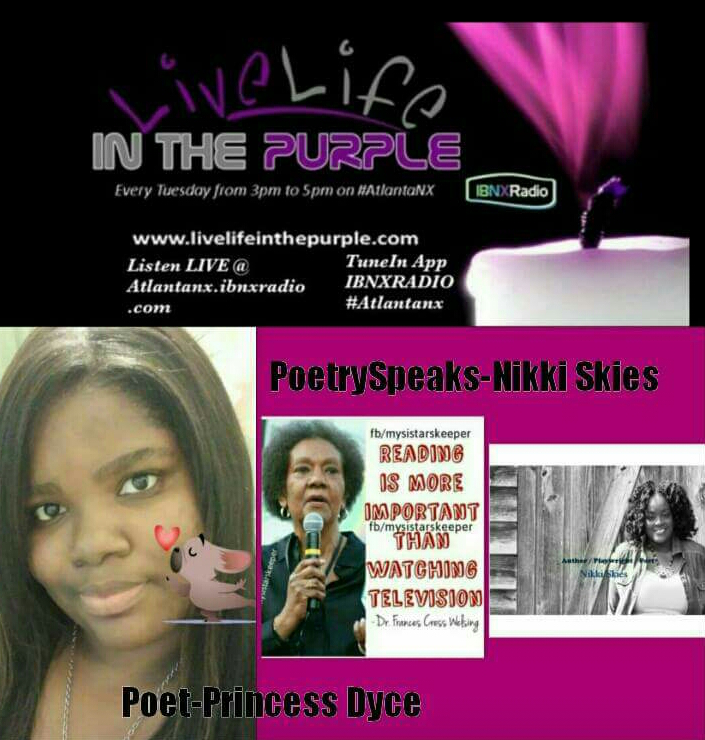 Tune in today at Atlantanx.IBNXRADIO.com to the show “Live Life in the Purple” from 3-5 pm est. I wrote a poem for the late educator, scholar and afrocentrist psychiatrist, Dr. Frances Cress Welsing, that will air during their “Poetry Speaks” portion. The works of Dr. Welsing were foundational to the shaping of my critical and independent thinking on living and creating as a woman of color in this country. She transitioned on January 2nd and I was moved to write, “I’ll Listen for You”. I hope you can tune in and enjoy!